Do icon wines undermine typicity? When I was studying for the Master of Wine exam, the running joke (and reality) about my study group’s wines was that the Institute couldn’t afford the very best wines. We comforted ourselves that we didn’t have to worry about the exam committee putting, say, a First Growth Bordeaux on the exam. Moreover, the lists of approximately the last decade of exam wines showed that the average price of exam wines across a single paper generally came out to around $45. Examiners chose very good wines and generally highly representative wines of regions and styles. But, they didn’t place pinnacle wines on the exam. So, I was stunned when the 2018 exam wines were unveiled. Moët & Chandon’s Dom Pérignon from 1999 (averaging US $200 on wine-searcher.com) and 2009 (averaging $155) glared at me from the page. These are far superior to the Perrier-Jouët Belle Epoque La Fleur (now averaging $135 on wine-searcher.com, depending on the vintage) that my study group was once given as a sample and over which we debated whether we should “study” it or rather just sip it. None of these are as pricey as a First Growth today, but they suggest that studying for the exam could become even more eye-wateringly pricey, even with a good-sized study group. Not only were the price points on the three 2018 exam papers much higher (the average across the three papers was $78 per bottle), many more “basic” wines from “icon” producers were included. Domaine George Roumier’s 2014 Chambolle-Musigny village red, which sells at about $185 in the USA when you’re lucky enough to find it, is one such example. Taylor Fladgate’s 1985 Vintage Port, considered by many to be one of the wines of the vintage from that heralded harvest that was the first unanimously declared in a decade, popped up. Taylor’s 1985 ranges between $150-250 a bottle in the seven USA wine stores showing availability. 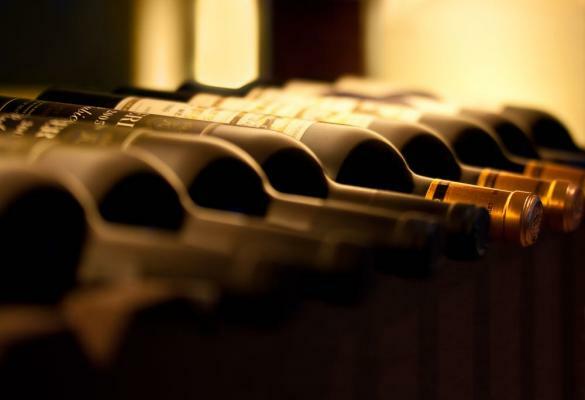 Granted, the most expensive wines are not necessarily the best wines. There are wines with even more breathtaking price tags that clearly do not reach the high quality level of others in their price peer group, whether due to rarity, high critic score or wilful price positioning. But the best wines do tend to be more expensive, even when they don’t even reach into the higher end of two-digit pricing. A few days later I was emailing with an MW Candidate that I have been mentoring. I mentioned that I was surprised to see the appearance of so many high-end wines on the exam. I then commented that while it might become more expensive to study for the exam if this quality level becomes a trend, it would at least be easier to identify the wines as they show more typicity. She countered that she sees these crème de la crème wines as less typical. WHAT? In the flash of a few strokes of a keyboard, a wine world truism seemed endangered. My brain reflexively started ticking off the reasons that the best wines could be considered less typical to atypical. Perfect terroir. Old vines. Better viticultural practices. Bigger bank accounts able to tap into the best equipment and consultants. Style changes. Maybe even climate change. The wine world has grown up – and become much more competitive – in the last half century. Estates formerly run by weekend warriors in wine have converted to full-time operations. Just compare the working days of the Côte d’Or’s Hubert and Etienne de Montille. Speaking of Roumier above, would Christophe’s wines be as good without his treasure trove of old vines? They likely wouldn’t be though, of course, they would still be very good. Moreover his wines are quintessential Chambolle-Musigny. They radiate the village’s typicity, yet they are better than typical. Ah ha. The quality or fact of a wine being typical of its geographical provenance and of the grape variety (or varieties) from which it is made. 1970s; earliest use found in The Winnipeg Free Press. From typic- + -ity, after either French typicité or Italian tipicità, both in more general sense ‘typicality, typicalness’. 1. Having the distinctive qualities of a particular type of person or thing. 1.1 Characteristic of a particular person or thing. 1.2 informal Showing the characteristics expected of or popularly associated with a particular person or thing. While the French and Italian words embody the spirit of seeking the idyllic best of a place and grape, the modern day use of typical (we seem to become more and more casual daily in almost all aspects of life) directs our focus to norms rather than exceptions. Also, in European vinous heritage, grape and place are inextricably linked. In the New World, the bond is generally less strong, even though certain regions possess the equivalent of covalent (stable, that is) bonds. To another of Dan’s points, typical can apply to grape as much as to land or region and can also apply to grape variety, price point (à la reds under $10) and technique (sparkling, carbonic maceration, etc.) among other elements. However, let’s return to the examination of whether typicity is typical under today’s magnifying glass. Do the pinnacles of wine regions define them? Or, did they at one time but are they now out-of-the-ordinary? Yquem shows the typicity of Sauternes, but it is not typical. As ever, especially for those of us in the trade, we must be clear when we speak about wine. Just as wine is living, so is language. In sum, I argue that best wine expressions today may not be the most typical, even if they are representative – and even show iconic typicity – of their terroir. As California winemaker and old vine specialist Morgan Twain-Peterson MW wrote to me in discussing the idea, “’Typicity’” might be closer to the mean of all producers efforts in a given area, but I certainly would prefer to have a high quality version, not muddled by poorer viticulture practice or winemaking, if sitting an exam.” Moving forward, typicity trumps typical in my vocabulary.